My virtual Indies First day, November 30: 30% off books! The Holiday 2013 University of Minnesota Press catalog. Thirty percent off titles going on now! Saturday, November 30, is Small Business Saturday. The idea is to visit your locally owned stores and do some holiday shopping in an effort to offset the corporate madness that has overtaken Black Friday (and Thanksgiving itself). Many authors across the country are doing something special on November 30. Called the Indies First movement, authors will be acting as booksellers in their local independent shops, selling their books and making recommendations to readers for other books. Mankato does not have an independent bookstore (hmmm, maybe I should start one! ), and I didn’t feel like driving to the Cities to participate (especially since the idea is to be local). So, from the comfort of my blog, I’m hosting my own virtual Indies First day. 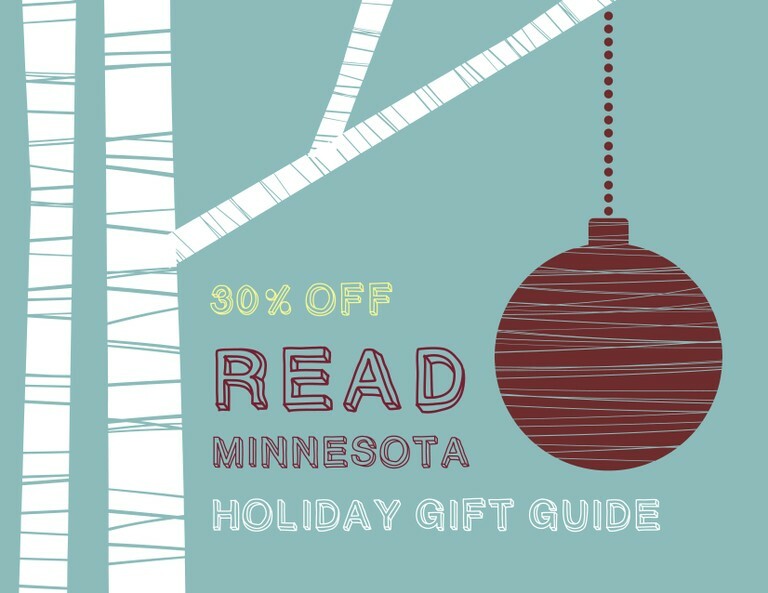 This involves directing you to the University of Minnesota Press website, where you will find a catalog titled “Read Minnesota” that offers dozens of titles for 30 percent off (including my book). The sale is on now, so of course you don’t have to wait until Saturday if you don’t want to. Thirty percent off! What a deal! 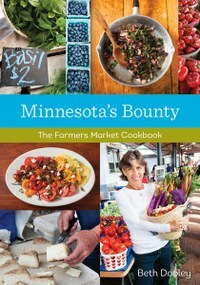 Minnesota’s Bounty: The Farmer’s Market Cookbook by Beth Dooley. 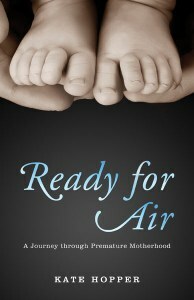 For the mom on your list: Ready for Air: A Journey Through Premature Motherhood by Kate Hopper. 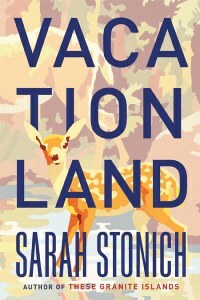 For the north country fiction reader on your list: Vacationland by Sarah Stonich. 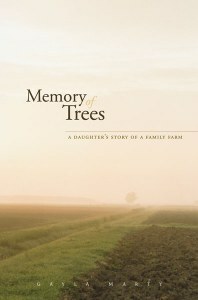 For the farm lover on your list: Memory of Trees by Gayla Marty. 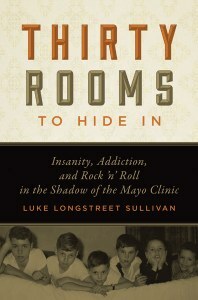 For the memoir addict on your list: Thirty Rooms to Hide In: Insanity, Addiction, and Rock n’Roll in the Shadow of the Mayo Clinic by Luke Longstreet Sullivan. I truly could recommend almost every book within the catalog! Please spend some time browsing through the titles yourself. You’ll find books related to Minnesota history (railroads, Great Lakes shipwrecks, Union Depot, etc. ), children’s books, Scandinavian tales and other fiction, mysteries (Sherlock Holmes in Minnesota! ), Native American history, sports, fishing, gardening, the outdoors, and loads and loads of cookbooks. If you’re like me, and wish to hunker down Thanksgiving weekend with your family rather than battling crowds, there’s no better way to shop than through your computer! Shop in your pajamas and still get 30 percent off some wonderful books! Support Minnesota authors and Minnesota books! Thank you, Rachael! What a gift to be on your list! Happy to make the recommendation, Gayla! You have written a poignant and wonderful book. Cool post. I’m doing the Indie Bookstore Campaign in Hudson, WI with authors Michael Norman and Stephanie Bodeen. It’s going to be a blast.